When you are a homeowner, the roof of your property should be your star defensive player. Your roof not only protects you from the elements but keeps the elements outside. North Bay roof cleaning and moss removal is a necessary service in order to make sure it gets to stay in the game. Throughout the year, your roof is subjected to weather-beating, animal traffic, organic debris from surrounding trees and plant life. These will collect and can cause damage over time. Leaves, sticks, needles and other plant carry-over retain moisture from the air, rain fall and even decomposition of larger pieces of debris. 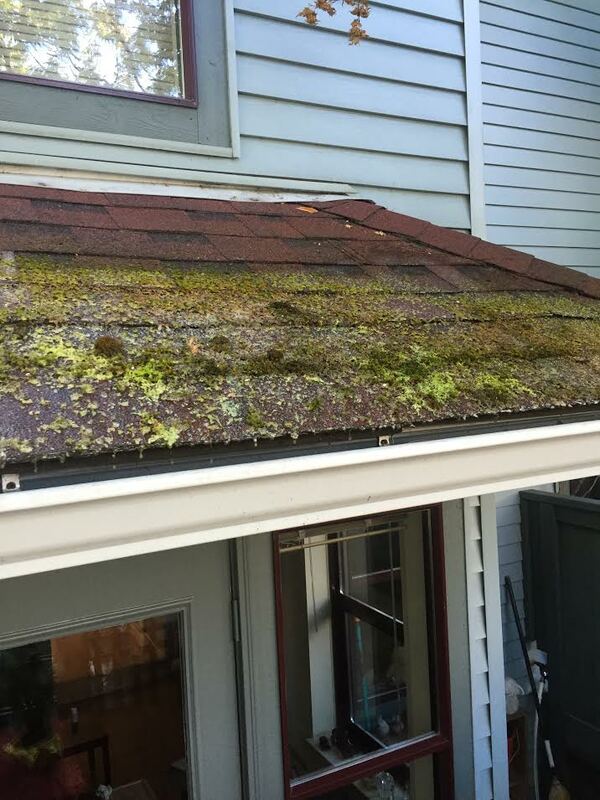 Moss will begin to grow in the moisture and the presence of other debris will help it thrive, moving over and under the shingles on your home. Over time the retained moisture can damage the structural integrity of your roof, rotting out the area underneath shingles and even creating entry points into your home through the roof. Developing a routine with your home maintenance can prevent large-scale issues down the road. Once the roof has lost structural integrity, there is nothing left to do but replace it, a service that costs thousands of dollars. The issue of infestation can also arise when insects or animals gain access to your home or business via the roof. This is a whole new ballgame. Prevention techniques with North Bay roof cleaning and moss removal can extend the life of your roof and when combined with North Bay gutter cleaning, remove any pests that have taken up house on top of yours. We understand than the prospect of getting up onto a roof is scary for most Canadians, but the fear of heights is not the only hazard when performing moss removal. 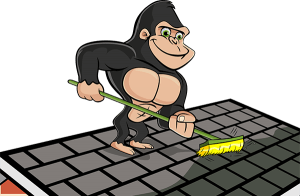 It seems easy enough to scrape moss off of a surface but when performed incorrectly, your roof can suffer a great deal of damage. Our Gorillas are not afraid of heights, all of our technicians undergo rigorous safety training before being allowed out into the field. We will navigate the surface of your roof with our top of the line tools, giving you the best possible outcome for your roof.